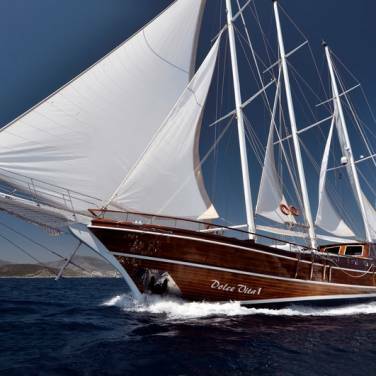 Gulet Kadena is a 32 meters long cruising yacht, available for leisure sailing holidays and corporate charter cruises in Croatia. 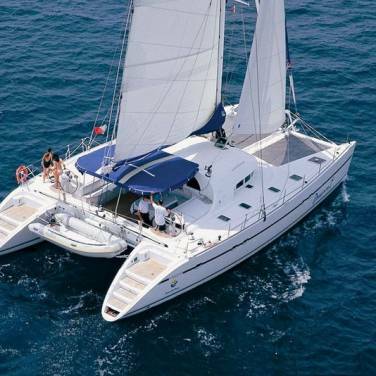 With its 2 double bed cabins and 4 twin cabins, gulet Kadena can accommodate up to 12 charter guests. Each cabin has air conditioning and en suite facilities. Cruising the captivating Mediterranean on gulet Kadena ensures the utmost comfort due to the open spaces of the yacht and its practical design. The interior areas are very modern; the salon has a lovely seating area and a bar, equipped with LCD TV, stereo music system and Internet access, while the exterior is built of high-quality mahogany, featuring extensive outdoor areas. There is a dining table and a sofa on the stern deck for the guests to relax after enjoying the finest creations of the Mediterranean cuisine. Furthermore, the bow offers an abundance of sunbathing mattresses and pads, perfect for sunbathing and lounging. Both decks can be covered by a tent, affording shelter from the heat and the sun. Due to an impeccable service of 4 highly experienced and professional crew members, this enchanting gulet has an excellent charter reputation. 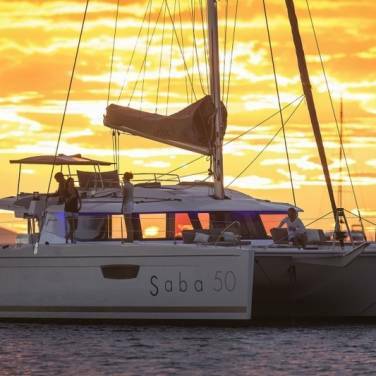 For those who seek active holiday lifestyle, there is a wide array of water-sports equipment such as canoe, water skis, snorkeling and fishing gear and a tender with the outboarder. Regardless of your occasion, gulet Kadena will offer you unforgettable cruising, unprecedented cultural and gourmet experiences, all intertwined with the most dreamlike sceneries of the Adriatic coast.